12 volt portable 300w pure sine wave inverter with USB outlet for your home devices. Tips: What are the requirements to connect a power inverter of 300 watts to grid supply? Does it require coupling with a transformer or do any other specification there? 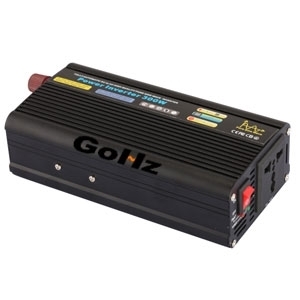 Since this 300w power inverter is grid-tie it will be a current source type. Therefore the inverter source impedance (looking from the grid interface point) has to be higher than the grid input impedance in order to maintain stability. This 300 watt inverter should have a sine wave output, otherwise a filter is needed to make output compatible with the local electrical codes. This means there cannot be any output capacitance, or you have to use L-C-L type filter at the inverter output. You can connect grid connect pure sine wave inverter (inverter which is synchronized to line frequency). You don't need transformer in the USA. You do need it in Europe because of the local codes.